Harvey & Co Solicitors takes pride in our client to solicitor relationship and is dedicated to our client’s best interest. Here at Harvey & Co Solicitors, we practise conveyancing (residential and commercial), wills and estates, commercial law (including business contracts and leasing), commercial litigation, personal injury litigation, family law, debt recovery and independent legal advice. 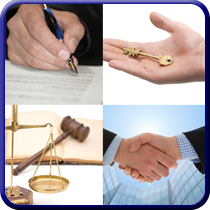 Based in Mermaid Beach, Harvey & Co Solicitors has many years of experience assisting clients with legal matters. Our solicitors offer cost-effective legal services by achieving results in a professional and timely manner. As a dynamic and small Mermaid Beach law firm, we are able to gain a thorough understanding of our clients’ needs and to offer representation and litigation for dispute resolution in a timeframe that best suits our clients. Harvey & Co Solicitors has focused on continuing the firm’s tradition of providing Mermaid Beach and greater QLD with superb legal and financial advice.